This distro review begins with a story of courage and bravery. I got quite a few mails, asking me to take Netrunner for a spin, so I was planning on doing it anyway, but then I was also approached by Clemens, officially from the Netrunner team, who asked me to do the same thing. So I did. Then, I emailed Clemens back with the gist of my findings, and he took it like a man. So in addition to a technical review, you also get a solid dose of brass balls, as it's not easy to go forth knowing your product may not have performed to the best of its ability. All right, enough procrastination. Let's see what gives. 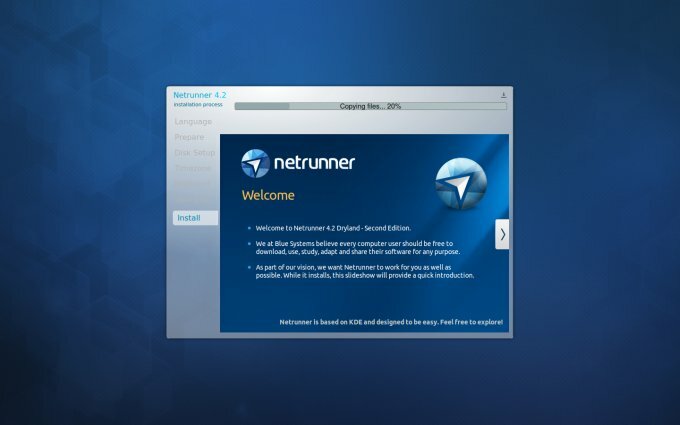 Netrunner 4.2 Dryland, the latest edition, tested on my T61 machine with SSD, alongside three other merry fellows, including Kubuntu Pangolin upon which it is based. Netrunner is an interesting product, for several reasons. 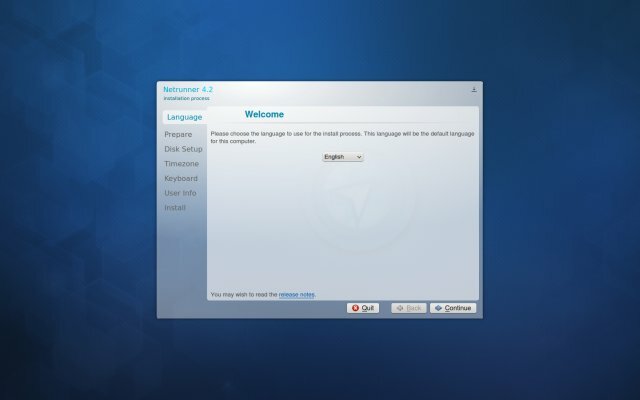 While most Ubuntu forkers fork off Ubuntu, so to speak, Netrunner is based on Kubuntu. And it's supported by Blue Systems, the same company behind Linux Mint, too. 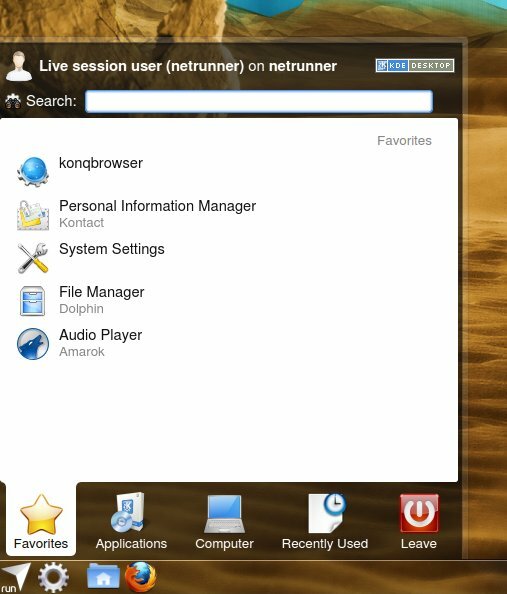 So in a way, Netrunner unto Kubuntu should be what Mint is unto Ubuntu. It's supposed to have all the extras that you need to manually configure in your default Kubuntu installation. 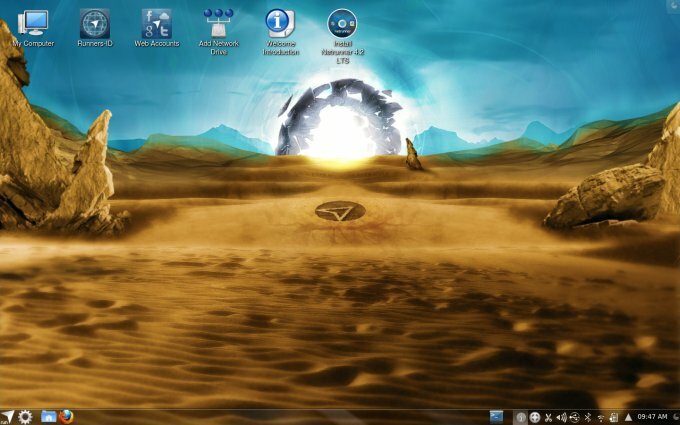 Next, booting into a somewhat busy desktop featuring a Stargate-like motif wallpaper. 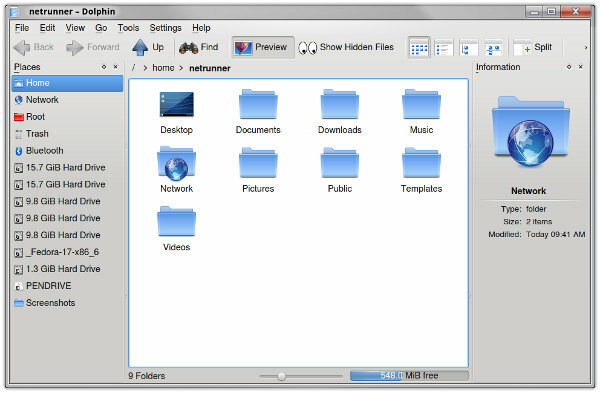 You get the usual bottom panel like in most KDE releases, but then, you also have a handful of horizontally tiled icons, with heavy emphasis on social. We'll get there. There are a few distinctive visual elements you will notice from the start. 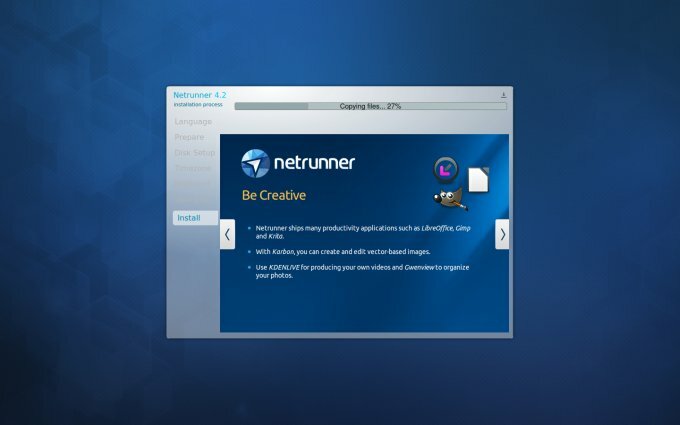 Netrunner features a classic Win-XP style menu, which feels a little restrictive, but then you can quickly switch to the application style menu by right-clicking on the Netrunner start icon. The search function is fulfilled by the cogwheel thingie near the menu, which opens a small overlapping panel at the top of the screen, and which does not align too well with the desktop shortcuts tiled there, creating a somewhat busy feel. This is even more apparent when you actually perform a search and the box expands, only it comes with a transparent background that makes it extremely hard to read given the rather colorful wallpaper behind. 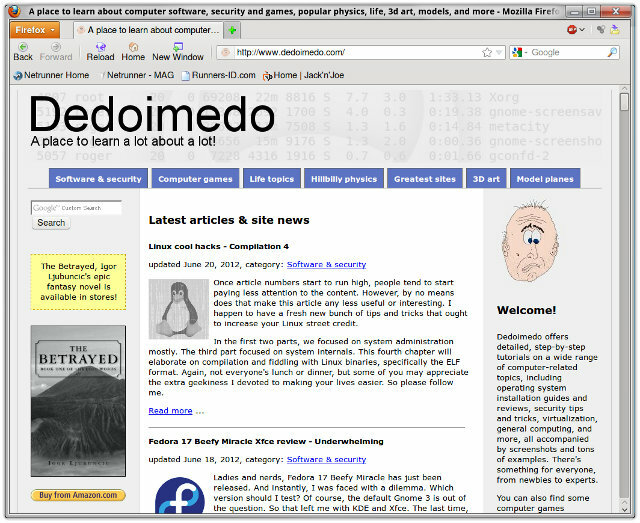 Another, supposedly controversial feature is the use of the Windows 7 theme for decorations in this distro. Perhaps, this is a direction similar to what Zorin folks may have tried to achieve. The overall integration is reasonable, and this is not an ugly or unwanted thing. And you will also notice after using the desktop icons that the underline mark, designed to tell you which icon was the last to be clicked fades far more slowly than you'd expect, so you end with multiple marks. Perhaps this is by design, but I doubt it. Making things even busier is the drop-down Yakuake terminal, which takes the same position like the search box, plus the fact the system area is crammed with little icons. You can hide them away to get back some sanity. 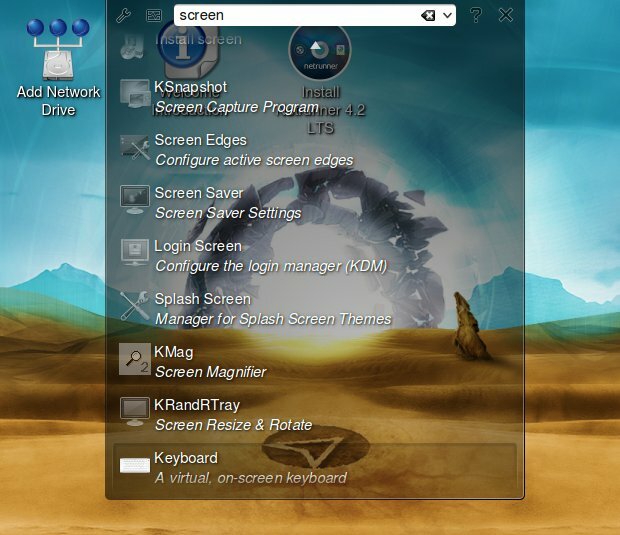 Kubuntu gives you none by default, so what does Dryland offer? I tried MP3, Flash and even hazarded watching Apple Trailers. Music and Flash worked just fine. But when I accessed the iTunes websites, things got messy. The first notification was that Firefox crashed, but it didn't; it kept running. And then Apport came to life and confused me. 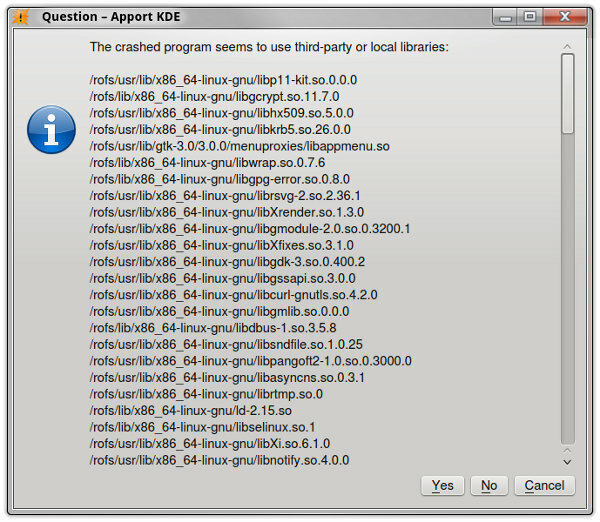 It said, the crashed program seems to use third-party or local libraries. So, is that bad? What's /rofs anyway? A read-only filesystem perhaps? And then, there's Yes, No, Cancel down there. What? What yes? Is this stupid thing asking me to confirm if some shared objects are used? You're the bloody system, you make the right decision! You're asking the user to kill himself over a crashed program? 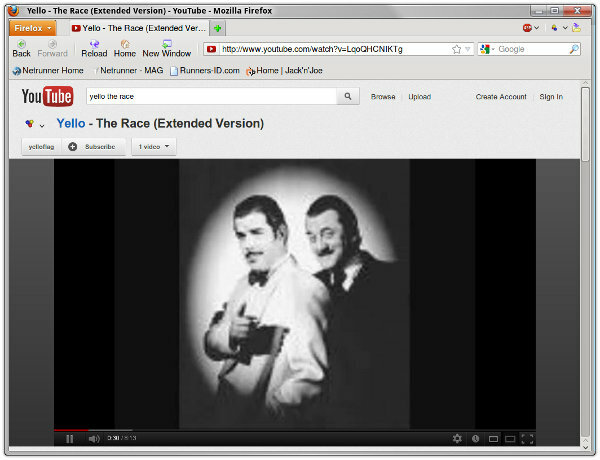 Music-wise, I did say it worked fine, but the default choice of the media player is crazy. 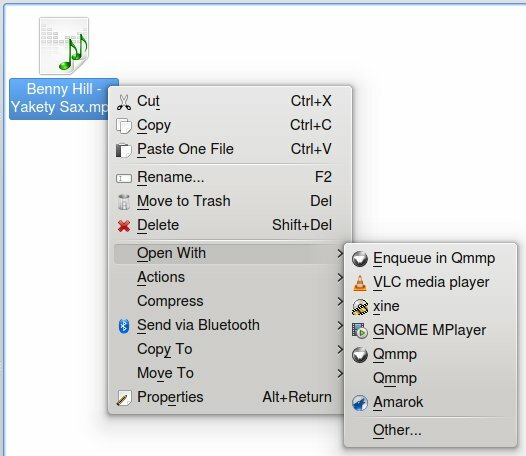 The Qmmp player looks like a 90s car radio interface and it does not conform to any KDE standard, including the transparent borders. 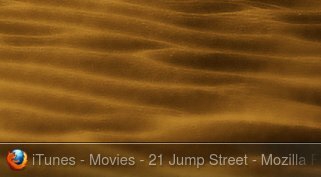 And why it's the default, when you have so many other programs available, like VLC, Amarok. Wait, shouldn't Amarok be the prime choice for KDE desktops? What's with three choices for Qmmp, one without an icon? Why include xine, too? What the hell is going on? Finally, I also tried Microsoft Media Server (MMS), no luck on this front. Well, it work, but it was extremely slow. Normally, I get quite decent performance with most distributions, here, I got a trickle of expected speed over Wireless, at only about 200-300KB/sec max, a fraction of what the network is capable. On several occasions, the service even timed out. In parallel, I tested with other distributions, without any difficulty, lag or throughput issues. At this point, I chose to install the distribution in my quadruple-boot setup. 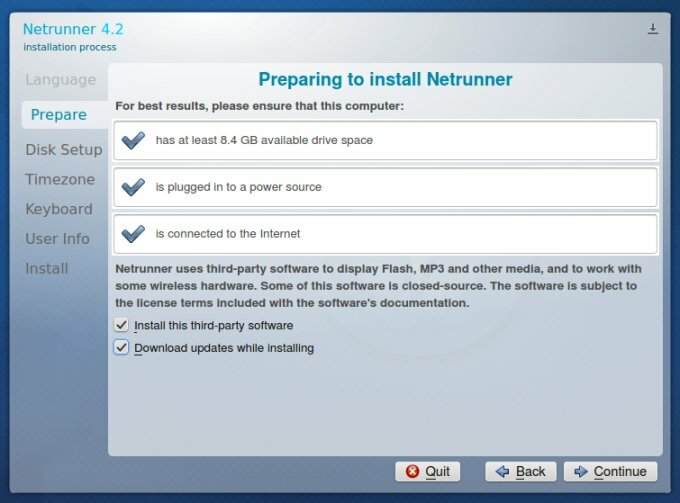 The installer runs in full-screen mode, like Kubuntu. In the preparation stage, I hit my first snag. It recommends installing third-party software, like codecs and other media, which are already installed! Furthermore, the overall phrasing of the notice is somewhat badly worded, but never mind that. Whenever I tried to use a separate home directory, the installer would quit. I repeated this step three times, and each time it failed. I wanted to use sda2 for / and sda6 for home, unformatted as it houses several home directories for other distributions. Nope. 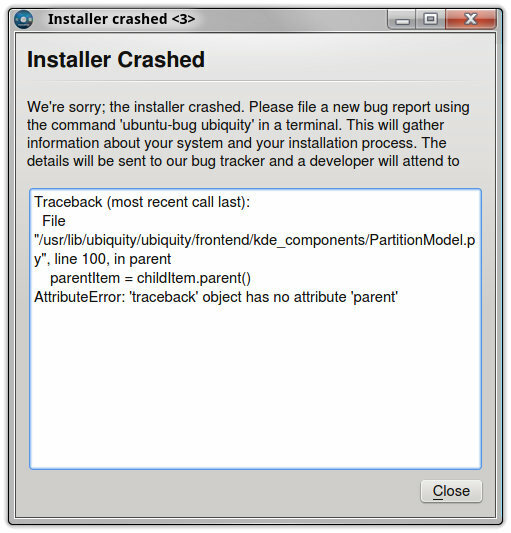 Each time, the installer crashed. The only way for me to proceed was to use the same partition for both root and home, which is moronic. At this point, I only continued because so many people asked me to test the distribution, but this kind of problem is a monumental foobar. Oh, how I love Python tracebacks, so sweet to read and enjoy and then vomit on your keyboard. You get a very reasonable slide show. And the installation was rather quick. However, on the last slide, you will find the text does not align well inside the installer box, so you end up with a jarring visual effect on the last bullet/sentence there, which reads hope you enjoy, next line, it. Time to see what Netrunner can do after it's installed. So far, the experience was far, far from being ideal. There were tons of problems, both in the live session and the installation, with multiple crashes soiling the experience like an incontinent child. The first thing I wanted to do was upgrade the system to the max, to get rid of all the little bugs and quirks, hopefully. While it was supposed to run and fast, it did not. 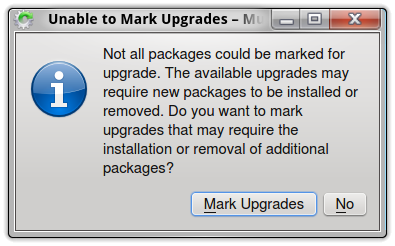 Muon complained about not all packages being mark for upgrades. Okay? Again, why give the clueless user the choice to make mistakes? 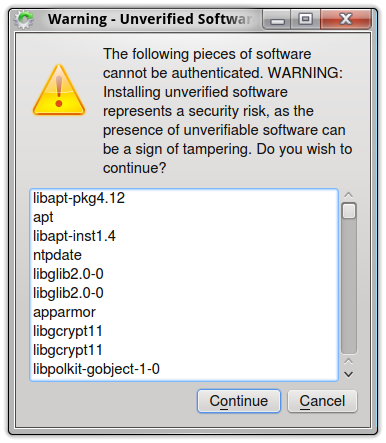 Then, even worse, it complained about unsigned packages, which could be an indication of tampering or just bad QA. 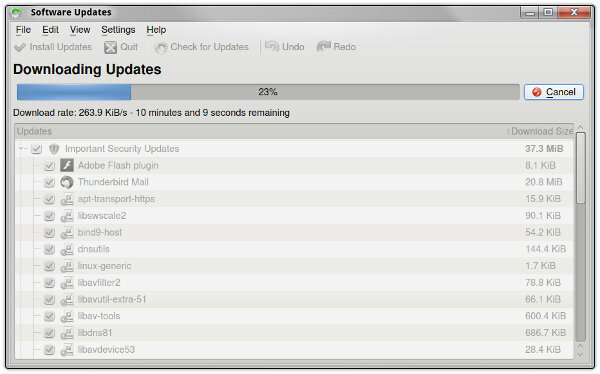 Finally, the package manager kicked into action, downloading at about 1/5th the expected speed. 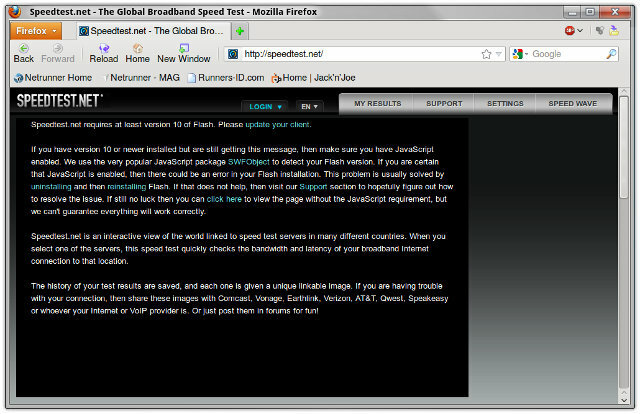 In fact, I was beginning to notice, it wasn't just Samba being slow, it was the whole distro networking stack. I thought about checking the dnsmasq and resolver thingie introduced in Ubuntu recently, but I had no such issues with the parent operating systems, so I decided against it. We will discuss this particular topic elsewhere in the future, though. But it only got jollier after the upgrade! First, the system update killed Flash. It stopped working after I rebooted. 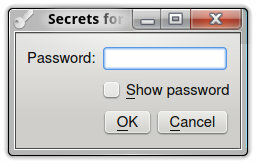 Moreover, the KWallet woke up and asked me for a password, even though I specified none when first logging in. Naturally, this meant that no matter which password I input, it would not work, and I had no network. I had to delete my Wireless configuration and start fresh to get back on track. Netrunner 4.2 Dryland is a big distro, so it comes with some extras, maybe too many, in fact. You have GIMP 2.8 and Skype 4, a review coming soon, I promise, the latest and greatest, and they both work quite well. You also have Pidgin, Transmission, FileZilla, quite a few non-KDE programs. 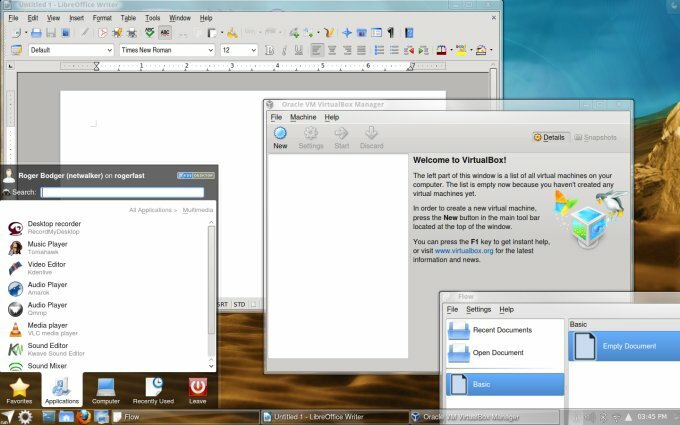 VirtualBox is also included. All in all, not a bad selection, but not without its share of woes. 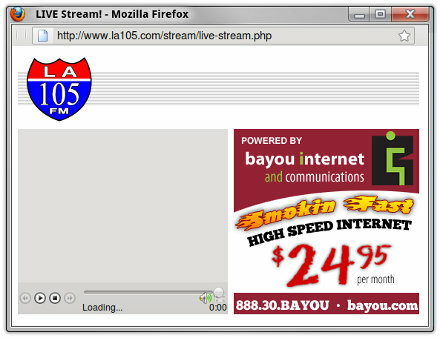 One of my biggest gripes was Firefox, both in the live session and afterwards. This lovely browser is supposed to work well, but not when it's loaded with a handful of extensions that only cater to someone's highly subjective and personal needs. 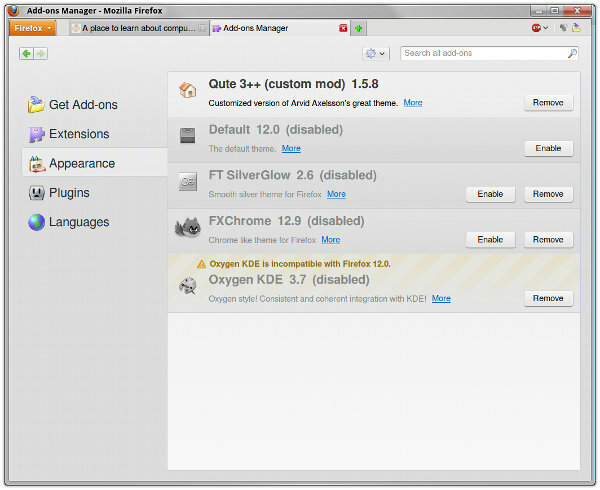 It comes with Adblock by default, several other unneeded addons, plus several themes, some of which are disabled and others not compatible with the browser. And the default one, with text showing underneath icon is plain ugly, if you ask me. Another one I didn't like was the Touchpad configuration. First, there are two entries in the main menu, seems like a duplicate. Second, no matter what changes I made, I was unable to disable the red button track thingie mouse on my laptop keyboard, which would sometimes react to my typing and throw the mouse pointer away. Super annoying. All in all, the mouse setup was frustrating, as I had to redo my actions several times before making any progress. And when I tried to read the help on the topic, I got a nice middle finger 404. 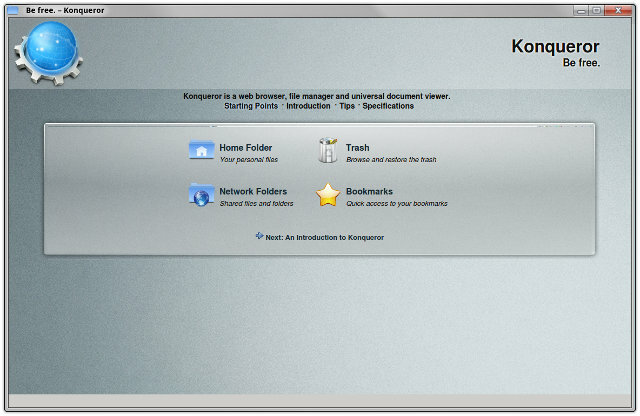 And there's Konqueror, which is supposed to be a browser and file manager, only it comes with no buttons, not even an address bar. A holistic experience, that is. I did mention the fact that Netrunner places some focus on social integration. In fact, you can create yourself a global account from which you can access your media and mail in a centralized manner. 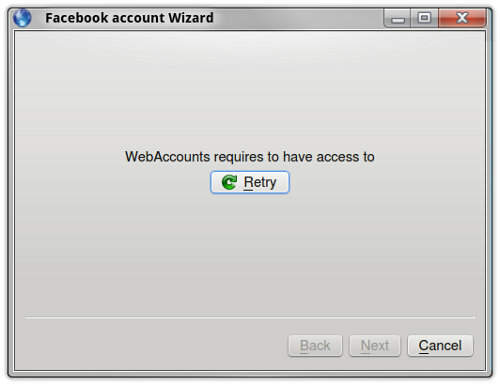 This thing is called WebAccounts, and it doesn't work. Whenever I tried, it complained about trying to access whatever and failing, for all listed types. As if that wasn't enough, there were other bugs and glitches. 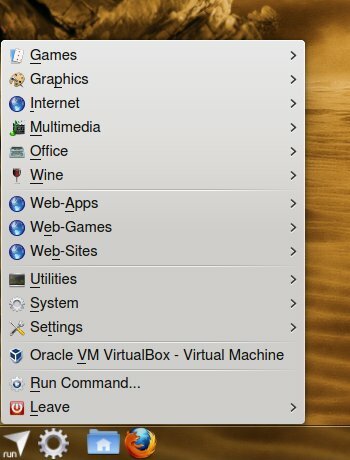 For example, after the first software upgrade and the subsequent reboot, the system area was all mixed up, with icons displaced left and right. And the instant messaging app was missing an icon of its own. Desktop effects did not work at all. Trying to turn them on made no difference. Moreover, the screen would not blank, even after 20-60 minutes of screensaver, which is a shame and a battery waste. There were no fresh crashes since, but then multimedia was crippled now following the upgrade. Suspend & resume was okay, performance quite similar to most other distributions, but then, without the benefit of desktop efforts. And I guess, we end here on an unhappy note. Netrunner 4.2 Dryland is an extremely buggy distribution. It is supposed to be an improvement of a very bland and reserved Kubuntu 12.04, but what it becomes is a layer upon layer of mess. Pretty much everything is broken and buggy on some level, and that's excluding my own personal taste and observations. 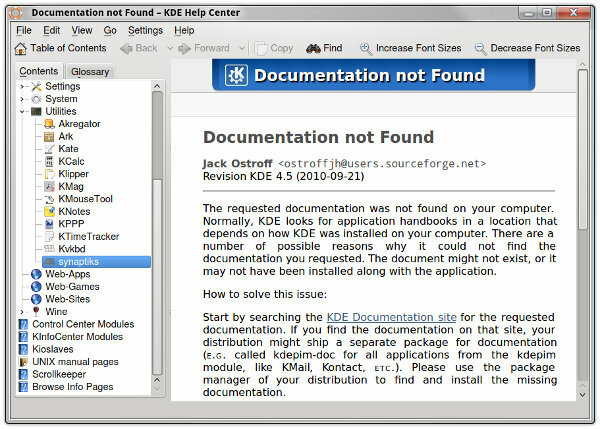 From the purely technical perspective, you get crashes in the live session, crashes during the installation, a package manager with unsigned repositories that ends up crippling some of the apps, programs branded with personal choices unsuitable for mass use, slow network performance, missing help files, incomplete Touchpad functionality, no desktop effects, missing icons, WebAccounts is broken, and there's still more to point out and complain about. 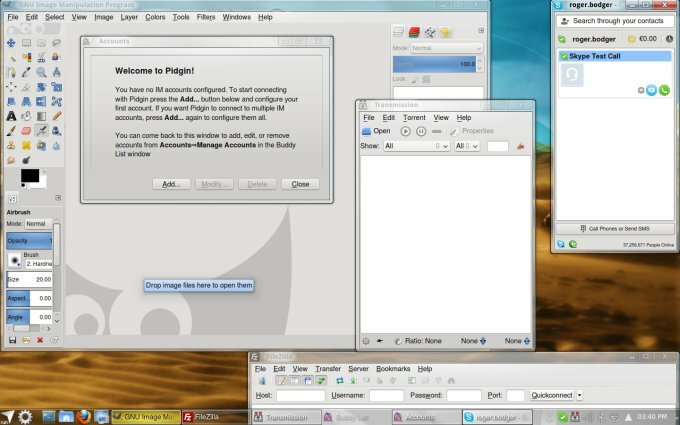 In its current state, Dryland is a testing meta-idea for what Kubuntu is supposed to be, but it's far, far from implementing that idea into a workable, robust and proven solution, with excellent QA and top-notch results. Perhaps the next release, and I do hope the developers will be busy polishing the rough areas and eradicating the numerous problems that plague this distribution. The potential is there, but I want to see the end product doing what it's supposed to do - make users happy. Today, I wasn't happy. Netrunner probably deserves about 3/10, and Clemens gets a medal for being honest. Full disclosure and transparency will sure help make things better, so let's see what gives the next time around.